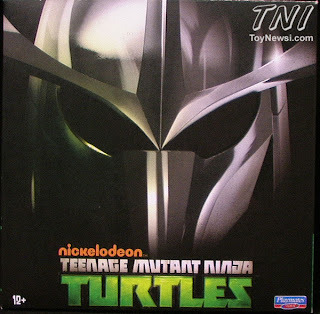 Last year's Shredder from the TMNT line was definitely a disappointment to me, but this one looks to be much better. He still seems to be based off of the same figure (which features pretty lousy articulation, especially compared to the Turtles themselves), but the improvements like the addition of the familiar purple cape and the shinier blades go a long way toward making this figure more appealing. I'm not a huge fan of vac-metal, but I'll admit it looks good here. The only thing that concerns me a bit is the price. 32 dollars? That's nearly 3-4 times what a basic TMNT figure costs at retail. I could see $20 or $25, but nothing about this figure makes me feel like he's worth $32 dollars. I may just be waiting for the next version that Playmates releases later this year.